Rising wage inequality has been kept under the gunpoint of many countries over the last decades. Policymakers see it as a significant threat that leads to economic misbalance, and thus requires adjustments for the fiscal and social support sectors. Labor force aspired to better wages, puzzle over education, skills and personal characteristics to join the advancing top. Uncertainty is especially strong in transition countries, where further complications result from unstable environment with shifting economic values and demands. 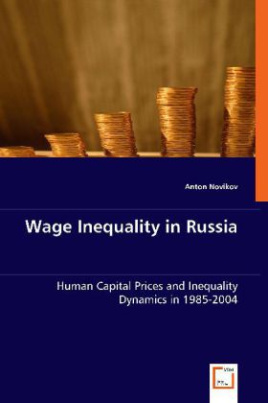 The focus of this book is on inequality in Russia - a country that experienced one of the highest wage distortions in the world. The study applies a wide range of empirical tools in a remarkably panoramic timeline, which starts just before the collapse of communism and goes thoroughly through the next two decades. This book addresses to economists, policymakers and scholars who are interested in a sustainable economy growth, as it provides a valuable empirical evidence for economic theories. The logical concept carefully developed through the chapters could serve as an excellent methodological guide for researchers examining wage inequality and/or gender discrimination.